through. The special knitting increases filtration capability and particle retention capacity of the wire mesh fabrics. 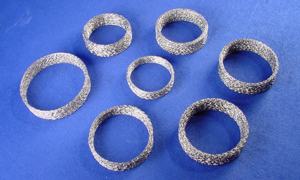 Stainless steel wire, copper wire, nickel wire, galvanized iron wire, phosphor bronze wire, polyamide fiber.